So this is what happens when Christie ditches class!! I was talking to my sister Carolyn about how I'm going to go reserve Breaking Dawn and that I would look into it. 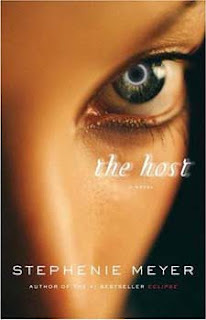 Well I went to the bookstore and bought Host, sorry Carolyn=) And I got to reserve 3 copies for my sister-in-laws and myself for Breaking Dawn! I'm so excited! So what did you think? I just finished this book yesterday, and I thought it was great! I can't wait for breaking dawn!